The thing that motivated me the most to start culinary arts was first getting experience working back of house in a restaurant doing prep work. I started to really enjoy it so I started looking up recipe videos of Gordon Ramsay and watching a lot of food documentaries. I then started practicing a lot at home cooking for my friends and family and it inspired to me to try and become a professional. Right now I am about two years into the program. I maybe have about two more semesters to go until graduation. Currently in school I am taking Food and Beverage Cost Control which is about learning how to maintain and calculate food costs for recipes and menus in restaurants. I think my favorite things I have done as a culinary student is be able to volunteer in after school events to get real experience in the culinary world. I really enjoyed volunteering for the Elby's because I was able to meet and see many of the other restaurateurs in the city that I could potentially work for in the future. My favorite ingredient to work with is pancetta. I would say my signature dish is a Carbonara pasta. It is my signature because it uses my favorite ingredient, pancetta. It is also my favorite pasta dish to eat and I make it all the time at my workplace. I think I eat Carbonara at least once a week. 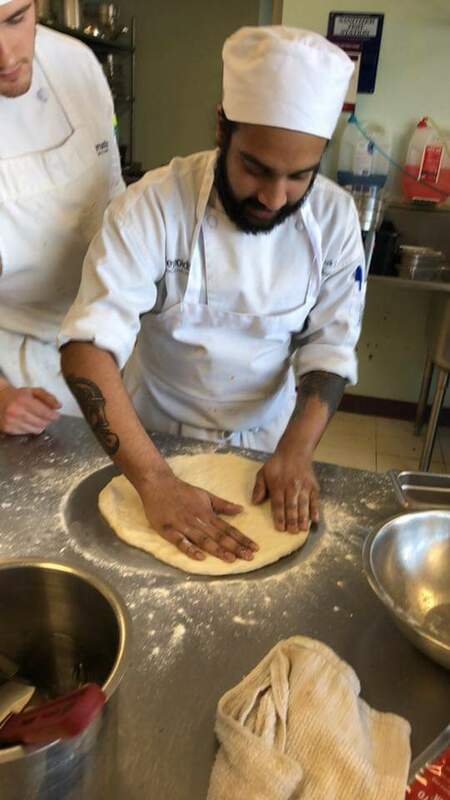 What I would like to do the most when I graduate is try to travel and work in as many different kitchens I can to gain as much experience in all types of cuisines. My favorite restaurant that I've been to so far is Edo's Squid. My biggest piece of advice I would tell potential students interested in studying culinary arts is to get as much experience as you can. Try working in a restaurant or practice recipes you have never made before at home. Always keep an open mind and listen to others that can help you. What does it take to fix Thanksgiving dinner for Metropolitan Richmond? Lots of giving hearts, lots of working hands, and a massive amount of planning. On November 22 The Giving Heart will host its 13th Annual Community Thanksgiving Feast at the Richmond Convention Center. This year, Reynolds Community College Chefs Jesse Miller, Darren Rounds, Jeff Baird, and Jonathan Highfield, and their team of talented culinary students will lend their food preparation skills to the battalion of volunteers who make this event possible. While many of us are gathering with family and friends, the Chefs and students will be gathering to “fabricate” 200 turkeys and make gravy to feed almost 3,000 Richmonders. When Bess Littlefield, executive director of the Educational Foundation, and Vicki Neilson, founding and executive director of The Giving Heart, approached Chef Jesse about this opportunity to involve the culinary students, he didn’t hesitate to say “yes.” Even a simple meal requires preparation. But, preparation for a Thanksgiving meal for thousands? Now that’s a perfect organizational and service-learning experience for students about to graduate from Reynolds and move on to the frenzy of commercial kitchens. From Reynolds, the turkeys get a short ride to the Convention Center where they are met by two shifts of ten volunteers who carve the turkeys from 9 a.m. to 3 p.m. The Reynolds culinary team will also be whipping up a variety of desserts to be delivered Thanksgiving Day. 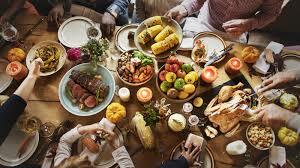 The day before Thanksgiving is reserved for final food preparation and set up. “Set up” isn’t just tables and chairs for dining. Other areas must be organized so guests can receive donated food bags, toiletries, clothing, shoes, haircuts, medical assistance, and nonprofit agency information. A stage is also assembled for instrumentalists, acoustic musicians, and singers and dancers to entertain guests during the meal service. At 5 a.m. on Thanksgiving morning the line begins to form. Guests arrive on foot, by bicycle, by car and by bus using free roundtrip tickets issued by The Giving Heart Bus Ambassadors who ride the bus routes to show the way to the Convention Center. By 8 a.m. the atmosphere is electric. This is community. This is sharing. And, this is a true Holiday. Snacks are handed out at 8:30 a.m. to hold guests over until the main event, the Thanksgiving Feast, is served from 11 a.m. to 2 p.m. The Giving Heart has thought of everything to make Thanksgiving, Thanksgiving for the Richmond community. Reynolds Community College, Chefs Jesse Miller, Darren Rounds, Jeff Baird, and Jonathan Highfield and the Culinary Arts students are all extremely proud to lend their hands, their hearts, and their education to support this amazing Richmond Thanksgiving tradition. Update, Wednesday, November 7: Reynolds culinary staff has lent its expertise in logistics and purchasing to reduce food costs for The Giving Heart. The Reynolds team has also expanded their role to baking and cutting 160 pies and ferrying the massive amounts of food to the Convention Center. A call is going out to all Reynolds staff who can lend their hands and hearts to this event as well. The Giving Heart serves a Thanksgiving Day Feast on Thursday, November 22, from 11 a.m. to 2 p.m. For more information, visit The Giving Heart. To donate items, sponsor a table or volunteer visit The Giving Heart Information page. The Reynolds Community College expansion into Richmond’s East End now has an official name: “The Kitchens at Reynolds.” This new facility will give Reynolds the ability to double its culinary enrollment and become a pipeline for talent desperately needed in the growing Richmond restaurant and hospitality industry. While the teaching and demonstration kitchens are the centerpiece of the new 25,000 square foot facility, the building will also serve as a gateway to many of the college’s academic and workforce programs and services. Space has been dedicated for career planning, financial aid workshops, enrollment assistance, and access to short-term courses and workforce certification and credential programs offered by the Community College Workforce Alliance. “The Kitchens at Reynolds” is part of a larger revitalization initiative along Nine Mile Road and 25th Street. Plans include “The Market at 25th” grocery store, a VCU health education and wellness center, and Bon Secours’ existing Sarah Garland Jones Center. Even before The Kitchens at Reynolds is open, the college has been at work with other non-profits and organizations in the East End. Less than a mile from its new building site, Reynolds Community College Educational Foundation has funded an onsite career coach at Armstrong High School to help middle and high school students plan for an associate degree or a workforce credential after graduation. 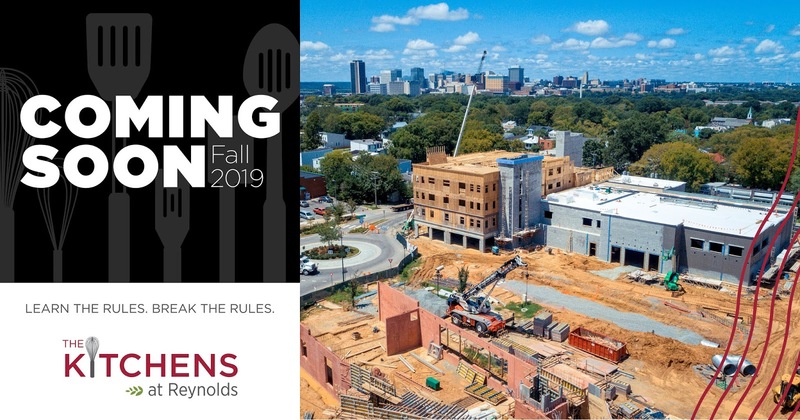 The building is expected to open for college programs and services in late 2019, with the first culinary classes offered in the spring 2020 semester. To learn more, visit The Kitchens at Reynolds. I was born and raised in Richmond, VA. I lived in Jackson Ward through the 3rd grade. The summer before I began 4th grade, we moved to Church Hill. Growing up in both neighborhoods was fun and adventurous. I grew up in the era when children were told, “Go outside and find something to do. Don’t come back until it’s time to eat or before dark". And outside we went. We played games, walked to each other’s houses, and taught each other all of the words to the latest songs and all of the latest dances. There were no organized play dates. All of the neighbors were babysitters. Everyone knew each other in detail—your momma and daddy, your grandparents, your siblings, etc. Every adult watched out for you and stepped in on the spot if you misbehaved. Then they would let you know that your parents would be informed. We played, talked, argued, sometimes fought and made up. I still have friendships from that time in my life. I have worked for Reynolds for 42 years. Yes, I said it—42 years. Say it loud, 42 and I’m “proud”. I came here to start my education. I had a part-time job at the telephone company in my senior year of high school working after school and full-time during the summer. I was offered a full-time position. I didn’t think that was the right fit for me. You couldn’t talk to each other while working, you were timed when you left for breaks and lunch, etc.—very regimented. It was hilarious watching the full-time employees find innovative ways to communicate with one another without being caught. A lot of people, including family members, thought I was crazy. Back then, it was a big deal to get hired at one of big companies. Reynolds was in its infancy. An outreach team came to Armstrong High School (Go Wildcats) to talk about this new “community college”. So I was a student, a work-study student, a part-time employee and then on to full-time. I have worked the academic side, the non-credit side and off-campus. I have worked in the School of Business, formerly known as the Business Division, in Continuing Education, in the Community College Workforce Alliance, and now, Student Affairs. I have been a secretary, an instructional assistant, a trainer, an adjunct instructor, a site manager, and a program manager. I am now the Testing Center Manager for the DTC. You have heard this before. I love interacting with people—the students, co-workers, the public, etc. I get to interact with people from all walks of life, all age groups, different backgrounds and life experiences, etc. Most of the time, it a good thing, sometimes it’s not, but it’s always interesting. You never know who is going to walk into your office, what their needs will be, and how they will present themselves. You just have to be ready, flexible and open to be of assistance. I have also developed and maintained some life-time friendships here. Tests do make all of us nervous. And different people handle the stress differently. Also, the level of stress increases from the beginning of the semester to the end. You can just feel it. We greet everyone that comes into the testing center. You can usually judge their mood and mindset by the response that you receive. 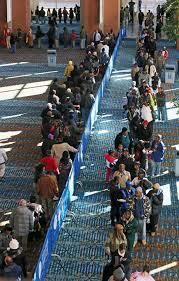 We just try to be low key and friendly, and get the student processed and seated as quickly as possible. We try to develop a feel for what they want or need and adapt our interaction as needed. Some people want a lot of interaction and hand holding and others just want to get to their test. It definitely tests your “people skills”, but meeting the challenge of having a satisfied customer when they leave, is worth the effort. What has been your greatest challenge in your position so far? The biggest challenge so far has been trying to do all that we do with a staff that is completely part-time. It means a lot of staff turnover and continuous training. What we do is not rocket science, but the devil is in the details. We proctor a variety of tests, placement, distance, makeup, Foreign Language Achievement Testing, Credit by Able Testing for ITE 115 and CSC 155, specialty testing for Nursing and Allied Health, Culinary Arts, etc. The list goes on. We provide proctoring services for Reynolds students, those who want to become Reynolds students, and students from other Virginia community colleges. We proctor internet-based tests, Blackboard based tests, and paper tests. All testing is offered on a walk-in basis, so you have to be prepared to go from zero to 60 at a moment’s notice. Again, that helps keep things interesting, challenging and fun. There is a lot of communication with staff from the other testing centers, staff and faculty from the various Schools and other College areas like Distance Ed, Middle College, ESL, etc. We reach out to whomever we need to be able to assist the students. I have been lucky over the years to find qualified and enthusiastic people to share this responsibility with me. My staff and I share the good, and not so good, support one another, and make it work. I love good, down-home southern cooking. The basics like fried chicken, baked chicken, fried fish, baked fish, mac and cheese, collard greens, cabbage, green beans, potato salad, corn pudding, etc. I judge it all by my mother’s cooking, and most of the time what I am finding out there now, doesn’t meet her standards. Now, I also love chocolate—chocolate candy, chocolate cake (preferably Devil’s Food), chocolate mousse, etc. Is chocolate considered a food? Well my favorite activity outside of Reynolds is reading. I know that sounds boring, but reading relaxes me. I take a book with me everywhere that I go. There is a book laying on my desk right now. I drive my family crazy, but we are all avid readers. Sometimes I feel the need to visit places in the neighborhoods where I used to live, especially, Libby Hill Park and Chimborazo Park in Historic Church Hill. It hadn’t been designated as Historic when I was growing up there. My husband and I will drive around and visit the areas where we grew up and met. We spent a lot of time in Libby Hill Park and Chimborazo Park, walking around and talking about our future (cheap date). We used to take our children, and now we take our grandson. He is into statues now. He is really in love with the Statue of Liberty and the Maggie Lena Walker statue. At his request, one of us or all of us, will jump into a vehicle and drive around Richmond checking out all of the statues in the various parks and on Monument Avenue. Do you know that there is a miniature Statue of Liberty in Chimborazo Park? Okay, you know, the usual. Pay all the bills, provide for your family, give to charities. I would love to fund locations for kids to go after school and weekends to get help with reading, homework and tutoring. Then you would find me at every Dallas Cowboy football game, and at all of the major tennis tournaments, Australian Open, French Open, Wimbledon and the US open. “Science Fiction often pulls Science into the future. How many times have we romanticized about travel to Mars? Is it humanly, physically possible? What are the realities?” Reynolds Chemistry Professor Dr. Ann Sullivan poses these questions. On Tuesday, October 23 at 6:45 p.m. Reynolds science students, and anyone interested in the topic, will have a rare opportunity to get some answers. 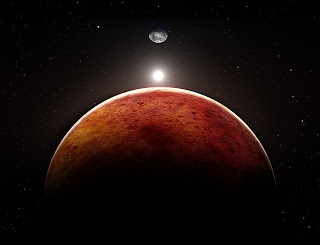 On that night Reynolds will host “Voyage to Mars: Red Planet Chemistry,” an International webinar offered by the American Chemical Society (ACS). Experts in chemistry, planetary geology, and aeronautical engineering will give presentations and field audience questions on subjects ranging from information gathered by the Curiosity Rover to what scientists currently know about the realities of space travel and sustainability. Dr. Sullivan has made this event possible through her membership and long years of dedicated service to the ACS. Dr. Sullivan is passionate about providing her students with learning experiences. That’s why she started hosting these ACS webinars. The first of these was “The Chemistry of Sports.” Only 15 students attended, but that didn’t discourage Dr. Sullivan. Then came “The Opiate Crisis.” Attendance soared to 120. Then last fall, “Chemistry Rocks! Exploring the Chemistry of Rocks and Minerals” and over 100 came to rock with the experts. “It just got bigger and bigger,” said Dr. Sullivan. It was clear: these webinars weren’t just boring presentations, but unique opportunities to connect with fascinating people far outside the galaxy of Richmond, Virginia. Dr. Sullivan is pleased. “In the last two webinars Reynolds has been one of the largest community college sites. For those programs, our attendance beat out VCU’s. Of the more than 100 Virginia sites for the last program, Reynolds was the ONLY community college site, right there alongside Longwood, Mary Washington, VCU, W&M, and JMU.” Now THAT is impressive. 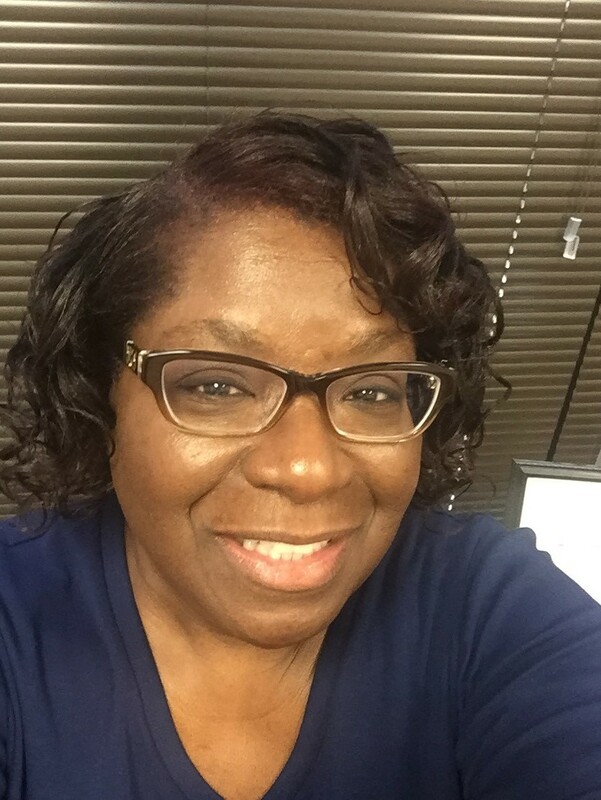 In the 25 years Dr. Sullivan has been teaching at Reynolds she has witnessed changes in students, faculty, staff, administration, buildings, and in the City of Richmond. Her years of experience have made her a keen teacher and innovator. She knows education today must be more than periodic tables and labs. For example, she exposes her students to the benefits of membership in professional societies like ACS where they can make meaningful contacts, find resources, and land interviews with big companies. She is intent on broadening their horizons along with their chemical knowledge. “Voyage to Mars: Red Planet Chemistry” will be held in the Lily Pad (Room # 138 – under the stairs), in the Massey Learning and Technology Center on the Parham Road Campus on Tuesday, October 23. A Preshow will open at 6:45 p.m., the webinar and information sessions begin at 7 p.m. Pizza will be served. The event is free and open to the public, no RSVP is required. Don’t miss this chance to find out whether life on Mars is for you. What’s a perfect storm on the International Space Station? When something breaks. And, then the tool to fix it breaks. When that happened in 2015, it was engineers who came to the rescue. Engineers are tinkerers and makers. They are wired to use whatever materials and equipment are at hand. The engineers knew the Space Station had a 3-D printer, so being engineers, they digitally designed the needed ratchet and uplinked it to Space Station where it was manufactured (printed), right there in space. 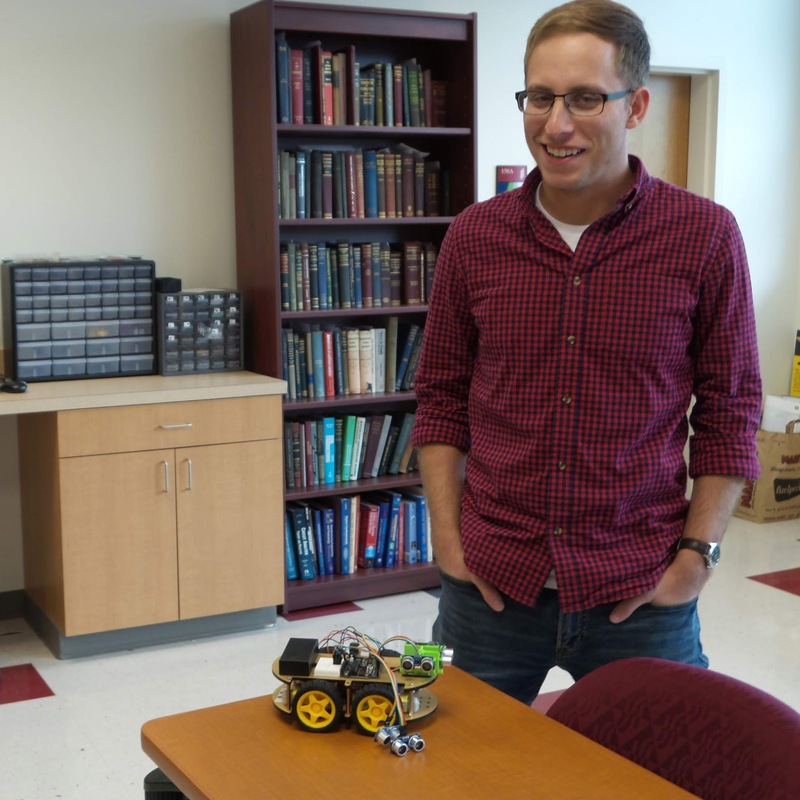 Reynolds Engineering student and veteran Greg Hargraves is wired that very same way. He is an engineer at heart, soon to be an engineer by degree, beginning with his studies at Reynolds. Greg grew up in a small town – population approximately 4,000 – west of St. Louis. Only sure of one thing: that he was ready to move on, he joined the Army. After seven years his tour was up and he and his wife (from Pennsylvania) picked Richmond as their home. Greg picked Reynolds as his school and engineering as his career. In addition to his studies Greg is Vice President of Reynolds fledgling Robotics Club. The Club meets twice a week with five or six students regularly in attendance and a few others who float in and out. Greg noted that their projects are short term, unlike the Clubs in four-year schools, because students are only here for two years. But that doesn’t stop the Club from sharing the stage with the big engineering guns: Virginia Tech and VCU. On the table next to Greg is the Club’s robot named “Steve” – still in the tinkering phase – which they put on display in the MakerFest held at the Science Museum. The list of MakerFest participants was a who’s who of Virginia “makers” such as VA Tech and VCU with fancy logos and glossy photos. Reynolds Robotics Club proudly added their “MakerSpace” logo printed on their 3-D printer. Go Reynolds Robotics Club – a group of true engineers up for a challenge. What’s next for Greg? “To get my life going,” he says. Which means for Greg to complete his studies at Reynolds then head for a transfer to VCU. It also means lots of travel, a home, children . . . but always a life full of challenges. “I’ll never be comfortable with the familiar,” says Greg. Have your fossils ever had a check up? Now is the time! Earth Science Week is Sunday, October 14 to Saturday October 20. While this special week may not get a government or banking holiday, it is a very special event for scientists, and a great opportunity for them to share fascinating aspects of their knowledge and work. Each day of Earth Science Week has a particular focus. 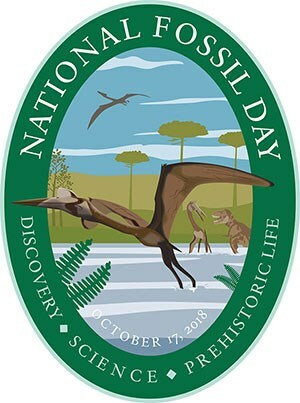 For example, Wednesday, October 17 is National Fossil Day. To celebrate the day, Reynolds Science Club invites you to bring in your fossils for a "check up" by Reynolds resident Paleontologist and Professor of Geology, Dr. Karen Layou. The Club is also hosting a fantastic display of fossils. And, what fossils might you find in Virginia? pelecypods, brachiopods, ferns, coral, trilobites, skolithos, and shark teeth and whale bones (yes, shark teeth and whale bones!). 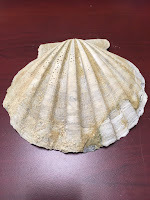 Pictured here: the Virginia state fossil, Chesapecten jeffersonius. Even if you don't have a fossil to get checked, stop by the table to learn more about these ancient remains. The Science Club display and fossil check up will be in the Burnette Hall Commons on the Parham Road Campus from 11 a.m. to Noon on Wednesday, October 17.